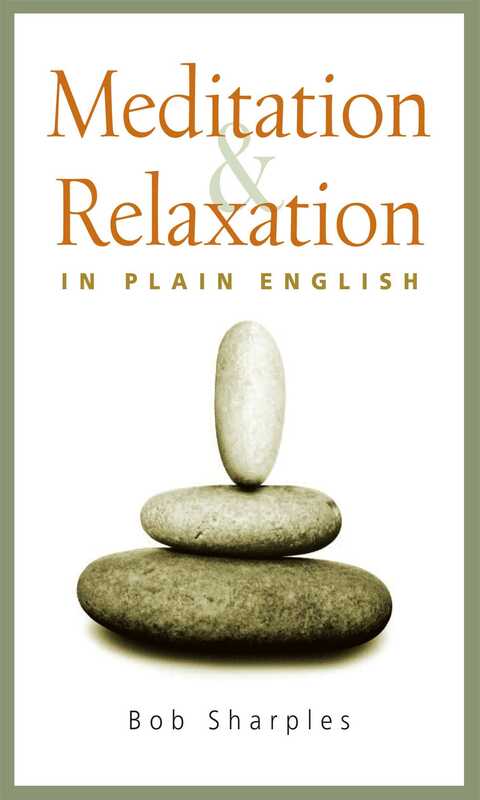 Odds are that you or someone you know could truly benefit from Meditation and Relaxation in Plain English. After all, who wouldn't like to have less stress - and more enjoyment - from life? Meditation and Relaxation in Plain English teaches us how to achieve just that, with potent tools that are easy to learn, enjoy, and keep doing. And these practices do so much more than more than allow us freedom from anxiety and stress: they allow us to be a better friend to ourselves, and to the people around us. "Bob Sharples offers equal parts practicality and inspiration through grounded step-by-step techniques for calming the mind and opening the heart --- not just on the cushion but for every moment of our busy lives. A great primer for anybody with a body, a mind, a heart and a bit of curiosity." "This book speaks to the reader in a warm voice and simple language for understanding the often confusing topics of meditation and relaxation practices. It is a good and friendly introduction for exploring the landscape of the inner life." "There's a very large and growing body of scientific research on the medical and psychological benefits of relaxation exercises and meditation. Until now though it's been difficult to find a clear, accessible book that introduces readers to the whole range of exercises from this inner science of training the mind. Sharples book provides clear, practical, understandable guidance to methods for physical relaxation, training attention, increasing mindfulness, visualization, healing meditations, and increasing positive emotions. For those new to such practices, Sharples' book will be a great introduction, and for more exerienced practitioners it will provide a reminder to reconnect with practical approaches to deepen their meditations." "Non-Dogmatic, ecumenical, comprehensive, pragmatic! Bob Sharples' book, Meditation and Relaxation in Plain English, is one I can recommend without hesitation or qualification to all those who seek information about meditation practice and who are turned off by sectarian proselytizing! I especially am grateful for his emphasis on the necessity to integrate relaxation into meditation practice, an aspect too often ignored or even denigrated. You can bet it will be on the recommended book list I offer my students."